As an adult it’s important to be aware of your own blood pressure. If you are overweight, have a diet high in salt, don’t do much exercise or have a history of high blood pressure in your family mention this to the Pharmacist the next time you're in the chemist. 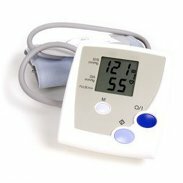 We offer a monitoring service which can help you to monitor your own blood pressure, if we spot any problems we can offer advice and support.